Elena of Avalor is an animated adventure series that is created by Disney and premiered in July of 2016. It centers on the story of the Crown Princess Elena and her reign as ruler of Avalor after defeating and banishing the evil sorceress Shuriki. Though she has already defeated the evil sorceress, Elena’s adventure didn’t end there, as being the ruler of a kingdom was not an easy task. One of the unique things about this princess, compared to other Disney princess, is that her story is a bit different than the rest. Sure, there’s still the usual plot of battling against an evil person trying to take over your kingdom then defeating him or her to live happily ever after. But this animation series continued the story and showed that defeating the evil person doesn’t signify the end of an adventure. It signals the beginning of a new one, and in Princess Elena’s case, that’s becoming the right ruler and leader. It makes this character a unique and a more relatable princess. That is why there are also a lot of people who cosplay this princess, as she represents a unique storyline to Disney’s lineup of princesses. 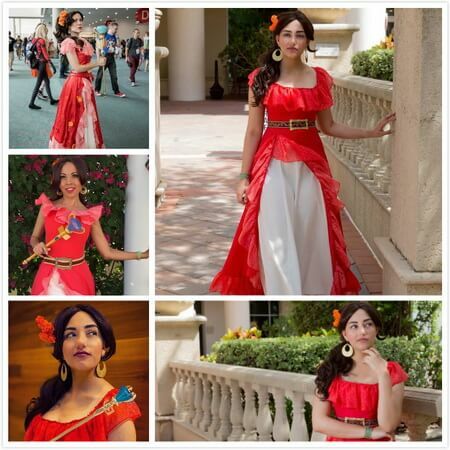 The Elena of Avalor costume has various styles throughout the series, but she does have a signature dress, which is her red sleeveless over-skirt dress. 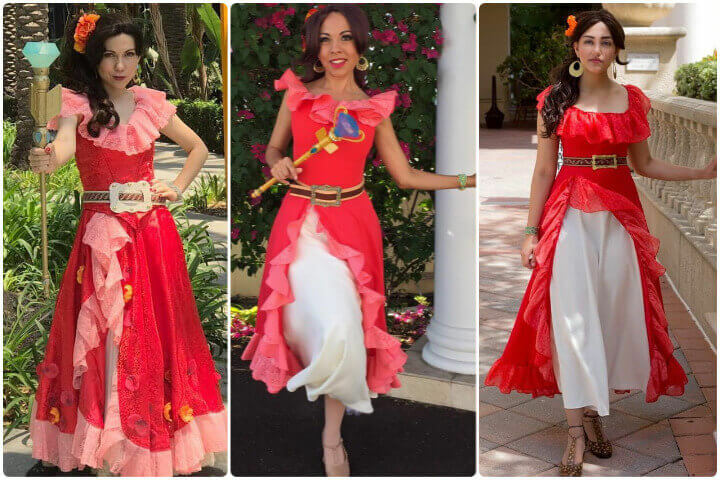 Crown Princess Elena has worn several different outfits throughout the Elena of Avalor animation series. But she does have a signature dress that people who watch the series can easily identify and recognize. 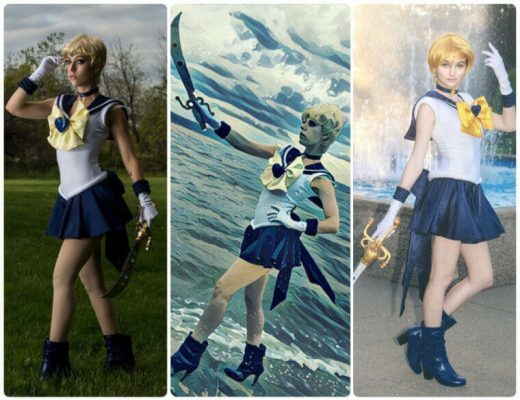 For this cosplay set, Elena’s signature dress will be the outfit of choice. The signature dress is a red sleeveless long dress that has pink ruffles around the neckline and at the bottom of the skirt. The skirt is also designed in a way that it has a slit from the waistline all the way to the bottom. But the skirt won’t be revealing, as underneath it is a long white skirt. The accessory for this set will be a long black wig, and the magical scepter called the Scepter of Light. 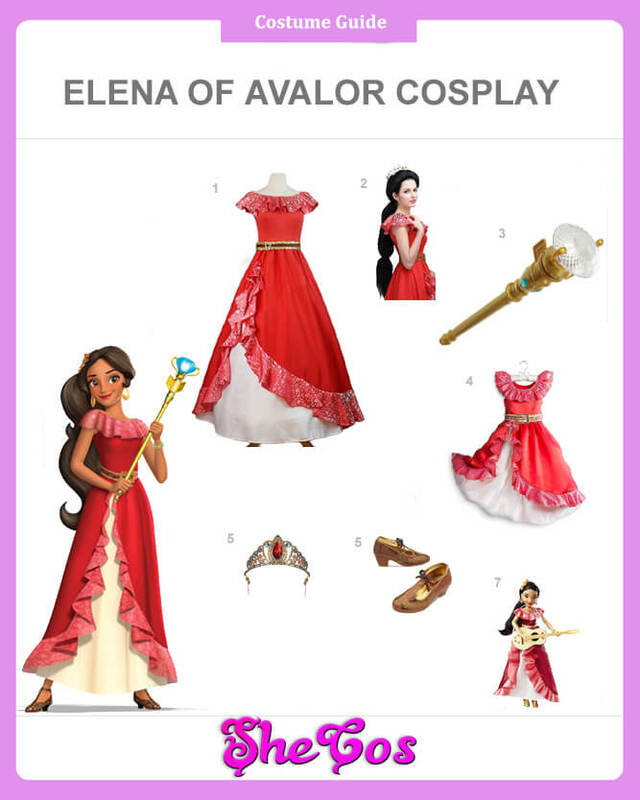 This cosplay set will also come with a kid version of Princess Elena’s signature dress, a tiara, a kid version of Princess Elena’s shoes, and a Princess Elena doll. Though Princess Elena has a more unique and different story than the other Disney princesses, there is still no denying that this character is still a Disney Princess. That is more evident in her personality, where she cares greatly about the welfare of the people around her, including her subjects. And like other Disney princesses, Elena also disregards her safety and well-being, especially if it means saving and protecting her people. Aside from the personality, Princess Elena’s looks and outfits is also an indication that she is a Disney princess. She is beautiful, wears normal, but elegant and glamorous dresses, and she is always ready for adventure. 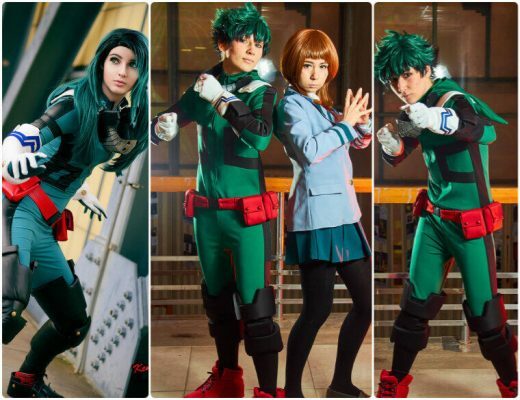 As you can see in the cosplay photos, her signature red dress is a good representation of how she is an elegant princess but is also someone that is ready for action and adventure when she needs to be.